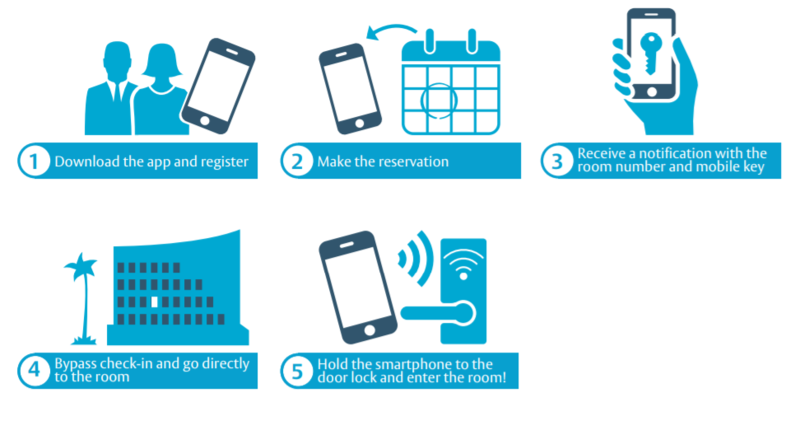 With the new Mobile Access solution by ASSA ABLOY Hospitality, your guests can skip the front desk, using their smartphone or watch as a secure key. This new solution maximizes operational efficiency, guest loyalty and convenience, as well as reducing costs and driving revenue. The smartphone has become a central part of our lives, and hotel guests increasingly expect smart mobile devices to be the basis for their travel experiences. Recent industry research shows that more than 70 percent of travellers would be likely to use their smartphone to check in and bypass the front desk. Close to 70 percent would choose a smartphone-enabled hotel before a non-enabled hotel. This trend is increasing with the younger millennial generation becoming a growing part of the overall travel population. As smartphones get even smarter, tech-savvy consumers increasingly expect this kind of functionality when travelling. A Mobile Access solution from ASSA ABLOY Hospitality will help you to address these needs by making VingCard RFID locks at your property operable with mobile devices through Bluetooth Low Energy technology. 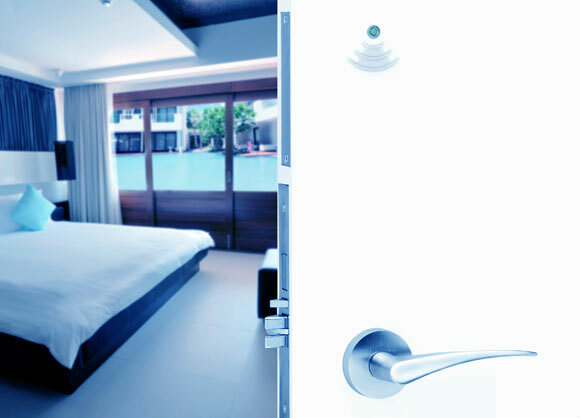 It is a highly advanced mobile phone-based keyless entry solution developed specifically for the global hotel market. This solution adds great value to the guest experience by removing queuing for check-in and keycard encoding. It also has the potential to boost your property’s overall profitability by adding value and relevance to your hotel’s mobile communication strategies and streamlining front desk operations. Irrespective of the solution deployed, the same core mobile access will give guests an experience that is convenient, secure and time-saving. The overall system security, powered by Seos, is derived from best in class cryptographic standards defined by NIST (National Institute of Standards). 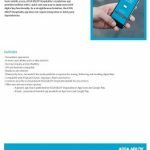 When sending the mobile keys to a user’s mobile device, a mutually authenticated channel between the ASSA ABLOY Mobile Services and the mobile device is established, ensuring safe delivery of the key. Likewise, when using the mobile key at a lock, a mutually authenticated channel is established between the mobile device and the door lock. This ensures a secure, private transaction that cannot be 'sniffed' independent of the Bluetooth protocol. You can choose among the three variants of our Mobile Access solution depending on the needs of your hotel or lodging facility. 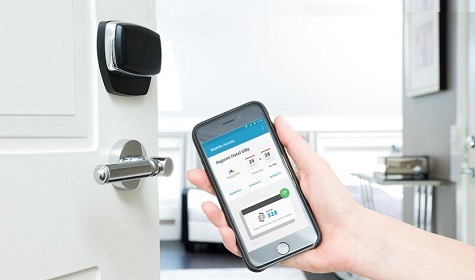 This solution suits hotels that want mobile app functionality beyond just access control, but don’t yet have their own in-house app initiatives. Here they can pick a solution from one of our selected app specialist partners, who through our Certified Partner Program have integrated our Mobile Access functionality into their products. A] A generic app that is published by ASSA ABLOY Hospitality in App Store and Google Play. Through an administration portal, the hotel can customize their digital key graphics that will then show in a ‘Passbook’ inspired style. 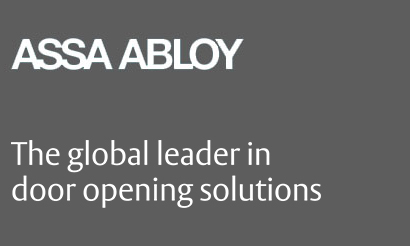 B] ASSA ABLOY Hospitality provides the basic app structure with a Software Development Kit for the customer to easily finalize the app with their own look and feel and publish it in the App Store and Google Play as their own branded version. VingCard’s latest generation of RFID locks are compatible with Mobile Access. The only thing that needs to be added is a small Bluetooth Low Energy board to the lock. It is also possible to install Mobile Access with older versions of lock systems. You can keep most of the lock’s hardware and simply upgrade the reader electronics to the latest RFID version and add the Bluetooth Low Energy board. The latest version of Visionline is required with a Mobile Access license option. 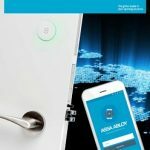 It connects securely to the cloud-based ASSA ABLOY Hospitality Mobile Access Services.